(Nanowerk News) Physicists at EPFL propose a new “quantum simulator”: a laser-based device that can be used to study a wide range of quantum systems. 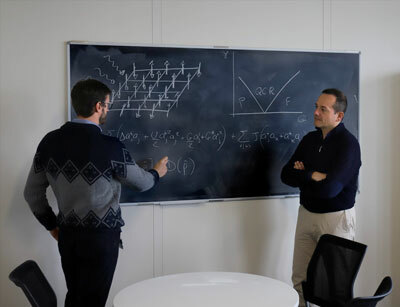 Studying it, the researchers have found that photons can behave like magnetic dipoles at temperatures close to absolute zero, following the laws of quantum mechanics. The simple simulator can be used to better understand the properties of complex materials under such extreme conditions. One example of a complex quantum system is that of magnets placed at really low temperatures. Close to absolute zero (-273.15 degrees Celsius), magnetic materials may undergo what is known as a “quantum phase transition”. Like a conventional phase transition (e.g. ice melting into water, or water evaporating into steam), the system still switches between two states, except that close to the transition point the system manifests quantum entanglement – the most profound feature predicted by quantum mechanics. Studying this phenomenon in real materials is an astoundingly challenging task for experimental physicists.